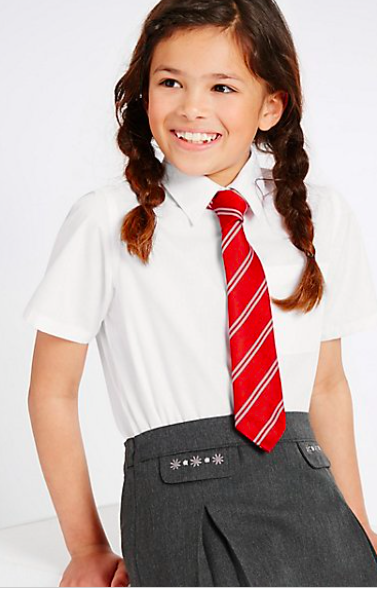 So I was on this morning buying for next term - not in-store because it's been one of those weeks and I am trying to keep out of the shops! Oh and to answer the question my husband asked, I have factored in some growth but if they grow over the summer to the extent that anything doesn't fit, I will exchange them. Unfortunately hosiery and shoes are not included but I had a birthday 20% off so I used it. I'd advise holding out for them until during the summer as there's sure to be a Friends & Family 20% at least once between now and September. 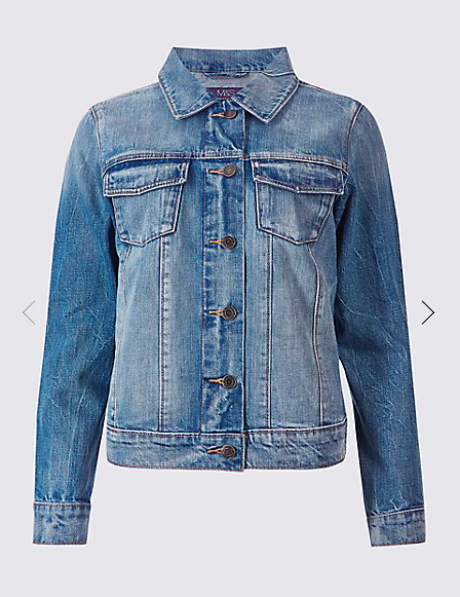 and I also decided to try this denim jacket in the petite size. I'm looking for another shorter fit one as I wear my H&M one all the time and it's a little bit neat on me. Really hoping this one works as I like the lighter wash. 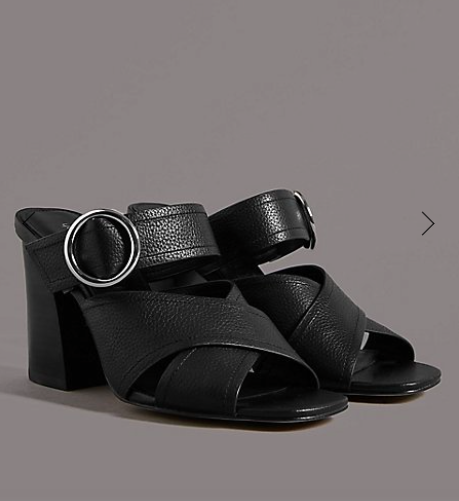 The only thing I nearly bought are these sandals as I wanted to get a higher black pair....but they look really odd on the model. In fact, none of the shoes seem to fit her in any of the photos...it's not selling any of the footwear to me! I am going to do a bit of a try on in-store next week so I'll report back on Instagram. 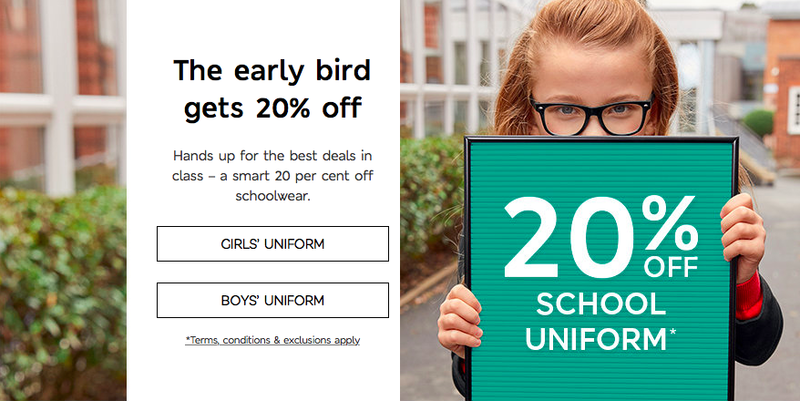 Disclaimer - I was given vouchers to cover the cost of the kids' uniforms. Huge thanks to M&S for this. My links are all affiliate links which means that M&S know that you came to their website from here and they may pay me a tiny commission if you buy and keep anything. This doesn't change the price of any items for you but the modest income I earn from click-throughs helps to cover the costs of running this blog so thank you in advance! 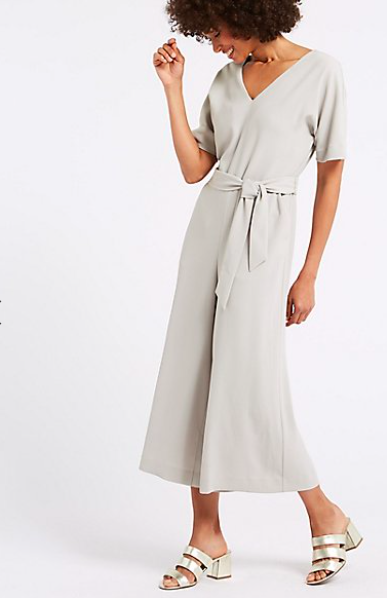 Love that jumpsuit but it’s sold out in most sizes now. Boo.